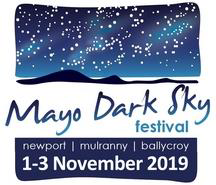 Mayo is now home to Ireland’s first International Dark Sky Park, showcasing some of the darkest, most pristine skies in the world. Nestled between the remote Nephin Mountain Range and the unspoiled Atlantic coastline, the Dark Sky Park extends across an area of 150km2. Its borders encompass both Ballycroy National Park and Wild Nephin. There’s so much you can discover by looking up at the night skies. On a clear night here in Mayo, you can see over 4,500 twinkling stars, along with other planets in our solar system, The Milky Way and even meteor showers all with the naked eye. We have committed to keeping the skies above us naturally dark for present and future generations to enjoy these wonders of the night sky. Join us and discover the beauty of your Dark Skies.